Obituary for Roslyn Rochelle Fenwick | Henry Funeral Home, P.A. Roslyn Rochelle Fenwick was born on December 9,1945 in Baltimore, MD to the late Mary G. Brooks and Reverend Charles Fenwick. She departed this life on Tuesday January 15, 2019 at Sinai Seasons Hospice Inpatient Center in Baltimore, MD. She was 73 years old. Roslyn started her education in the Baltimore City Public School System. She completed her education at Kennard High School in Centreville, MD. Roslyn was employed at Genesis Elder Care (Corsica Hills) for 33 years, until her health started to decline. 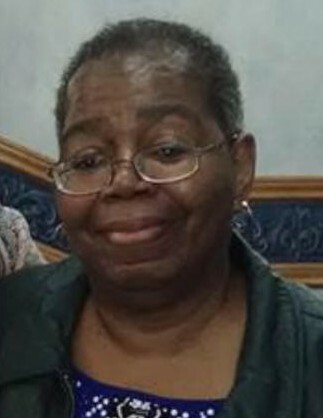 Roslyn was a faithful and active member of Mt. Zion United Methodist Church (Church Hill/Burrisville Charge). She was the president of Mt. Zion's Administrative Board, she was a Lay Speaker, an Assistant Treasurer, Trustee, member of the United Methodist Women, sang in the choir, and she enjoyed attending weekly bible study on the church charge and at Bethel AME Church in Centreville. Roslyn (aka Bunny, Ms. Dew) was an avid football fan, (GO RAVENS!!!) she loved crab cakes and like her mother, she loved watching old western movies. She enjoyed attending and planning family gatherings. Roslyn was always one to reach out to, and think of others whether it was a phone call, sending a card, writing a letter, or giving a gift for a special occasion. Roslyn was a supportive, loving, caring, no nonsense, Mother, Grandmother, Sister, Aunt, Cousin, and a non-licensed professional backseat driver. In her later years, Roslyn became the caretaker for different members of the family. Besides her parents, she was preceded in death by her son; Andre D. Fenwick, Sr. Roslyn is survived by two daughters, Veronica Fenwick of Centreville, MD and Pamela Harris (Anthony) of Harrington, DE. Five grandchildren, Andre D. Fenwick, Jr. of Easton, MD, Kyle Turner of Newark, DE, Kameron Turner of Virginia Beach, VA, Zoe Harris of Harrington, DE and Zion Harris of Harrington, DE. Two brothers, Wendell Dodd of Centreville, MD and Earl Lee Fenwick (Kathy) of Reisterstown, MD. Three nephews, Brandon Dodd of Silver Spring, MD, Earl Fenwick, Jr. of Silver Spring, MD and Derrick Fenwick of Baltimore, MD. One niece, Erica Fenwick of Baltimore, MD. Two aunts Frieda Fenwick of Church Hill, MD and Karen Fenwick of Cambridge, MD. Two special cousins, Corletha Williams of Hyattsville, MD and Joyce Bowser of Centreville, MD. A special sister in law, Vicie A. Walker of Louisburg, NC. Special friends Lorraine Carter and Lorraine Jenkins and a host of cousins and friends.